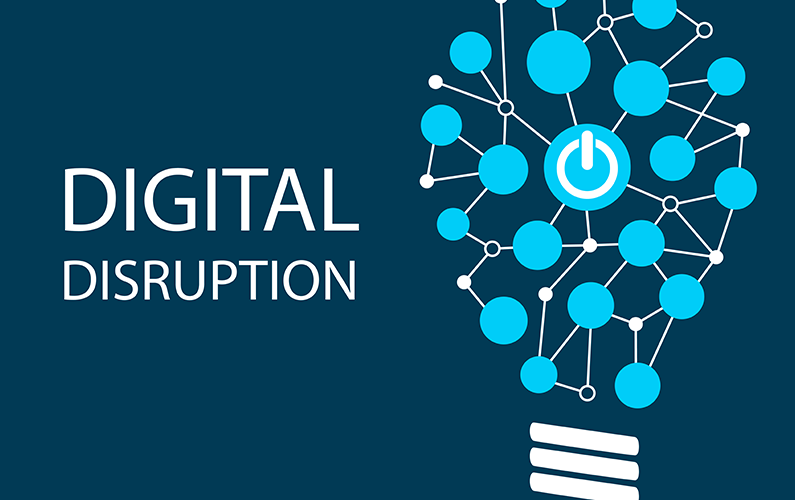 In the world of digital disruption, you’re either a disrupter or you’re being disrupted. Or perhaps your business is facing imminent disruption and you’re deciding how best to respond – either offensively, defensively or both. Unfortunately, due to the nature of digital disruption – much like asymmetric warfare where relative power, strategy and tactics may differ significantly – even if you have a sizeable operation and considerable assets and resources, these may not offer much protection for what’s to come. Before proposing some strategic counter-measures, let’s step back a bit and evaluate the situation. Simply stated, digital disruption relates to the major, and often existential, threat posed to many corporate business models due to competitors’ use of digital technologies to enable faster, better and cheaper solutions, services and value propositions for customers. Of course, this kind of disruption – and “survival of the fittest” – has been going on for centuries, only today we’re dealing with a completely different pace of innovation and a different set of tools. While definitions abound, digital disruption is basically the threat to your business posed by either existing players re-thinking and re-designing their business models, processes, products and services by taking advantage of the new digital landscape (i.e. undergoing digital transformation) or by new entrants starting with a conveniently blank canvas (i.e. digital pure-plays). Many of the disruptive business models of existing players and new entrants rely upon “digital experience essentials” such as social, mobile, analytics and cloud, as well as newer “digital experience enhancers” such as artificial intelligence (AI), blockchain, Internet of Things (IoT), workforce of the future and next generation cybersecurity. While each emerging technology is interesting in its own right – and a multi-billion-dollar market – they become even more interesting and disruptive to “business as usual” when applied in powerful combinations to re-invent customer value propositions and the future of work. If you’ve any doubts that digital disruption is real, consider this: whereas 89% of the Fortune 500 went out of business between 1955 and 2014, in recent years, according to R “Ray” Wang of Constellation Research, 52% have been merged, acquired, gone bankrupt or fallen off the list solely since 2000. Exactly why is digital business so disruptive to traditional business models and traditional notions of industry competition? If we analyze the situation and look at Porter’s model of the five forces, we can see that digital business is impacting, and in many cases nullifying, every one of Porter’s five forces of industry competition. These forces – which include the entry of new competitors, the threat of substitutes, the bargaining power of buyers, the bargaining power of suppliers, and the rivalry among the existing competitors – were once strong barriers to entry for new competitors but are now often more like shackles for existing incumbents. By its very nature, a disruption is extremely hard to predict. Still, with careful analysis of industry trends, a keen grasp of the art of the possible, and observations of recent “seismic activity,” you can get a sense of what to prepare for. With all these elements at hand, you’re now well-prepared to craft your strategic counter-measures. Whether you go on the offensive, the defensive, or both, the key is to employ the same digital “tools” that your competitors are employing against you. These are some of the newer capabilities that we believe organizations need to develop a mastery around to be successful. In their most recent book, “Topple”, Ralph Welborn and Sajan Pillai wrote that what made businesses successful yesterday is not what will make them effective tomorrow. The most successful, and explosive growth leaders of today and tomorrow reflect a new competitive reality: the new competitive landscape will be shaped less by firm-specific strategies than by business ecosystems. This is the true power of platform business models that are one of our key strategic themes for success in digital transformation. One of our key strategic themes is innovation and we believe this is one of the main ways to combat disruption. Corporate innovation programs should not only be well-aligned to empower and accelerate digital transformation, but they should also be re-invented to focus more on “where to play” and “how to scale” by taking an end-to-end approach that connects corporate strategy to innovation to execution. Of course, this is about more than technology, and it’s important to take a holistic approach across people, process and technology to find your best odds of success in digital transformation. It’s also important to connect the dots across the strategy, implementation and continuous improvement lifecycle – something we call Advocate, Orchestrate and Assure – to ensure the digital vision becomes reality and you extract the most value from your digital initiatives over time. At ClearPrism, we can help you understand the disruption in your industry, prepare your response, and help you undergo a digital transformation to be a disruptor rather than disrupted. Since only 5% of companies are successful in their digital transformations, our full-lifecycle approach which includes benefits realization and continuous improvement can also help ensure that you thrive.